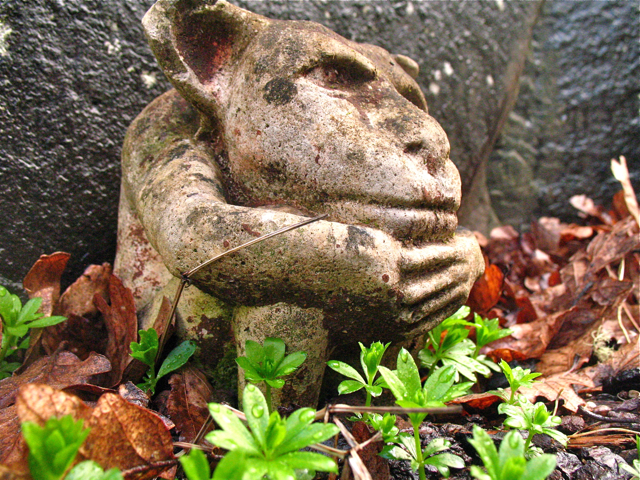 This is our garden guardian, Stumpy, seated at the hub of the known universe, noting the Big Dipper’s clang as it changes its tilt, and watching for the wax and wane of sweet woodruff at his feet. He has grown more cryptic with time, merging peacefully with lichen and leaf litter. His words are few, the usual mix of earth and sky.